The work of composer and pianist Volker Bertelmann aka Hauschka, residing in Düsseldorf, Germany, is currently being celebrated by the press and audiences worldwide. Hauschka's preferred instrument is the piano, which he prepares meticulously with metal parts, foil and clamps, the objects causing rustling, metallic noises as he plays. Reminiscent of electronically generated sounds and cymbals, these sounds lend a lyrical quality to the already atmospherically dense compositions, which he bases on harmonic patterns. At times, he also performs accompanied by guest musicians, such as Hilary Hahn, Adam Butler (Vert), John Convertino (Calexico), Samuli Kosminen (múm) and Stefan Schneider (Mapstation, To Rococo Rot). It excites Hauschka to find new musical expressions for each specific situation, which also applies to the work he does together with film and theater directors. Together with longterm partner Torsten G. Mauss, he composed the soundtrack for the highly praised Lars Henning Jung film Höhere Gewalt, which received double awards at the Max Ophüls Preis film festival in Saarbrücken, Germany, in 2008. Praia do Futuro, the film of award winning director Karim Aïnouz with a score by Hauschka premiered in the Competition programme at the Berlin International Film Festival 2014. His latest film scores include the music for Sönke Wortmann's film DEUTSCHLAND. DEIN SELBSTPORTRÄT as well as for the US productions Lion, directed by Garth Davis, and In Dubious Battle (director: James Franco). For their collaborative score for Lion, Volker Bertelmann and Dustin O'Halloran were nominated for the Golden Globe, the BAFTA Award and the Oscars 2017. Working for the stage, Bertelmann has collaborated with dancer and choreographer Stephen Shropshire, whose dance piece Danceworkorange at the Augsburg Theater won high acclaim. His latest collaboration with Edivaldo Ernesto - an encounter of improvised music and dance - was initiated at Berlin's Radialsystem V and shown at EXIT festival in Créteil, France, Gdansk Dance Festival and at the ZKM in Karlsruhe. For the Ruhrfestpiele celebration of the European Capital of Culture 2010, Hauschka wrote the score for Heinrich von Kleist's Marquise von O. which was directed by Kevin Rittberger and subsequently performed at Schauspiel Frankfurt. Hauschka's latest composition for theatre could be heard in Sebastian Baumgarten's Ballad of the Flying Dutchman at Schauspielhaus Hamburg. 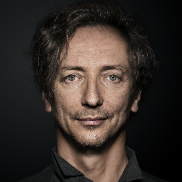 Germany’s oldest Radio Symphony Orchestra directed by Estonian-American conductor Kristjan Järvi, the MDR Symphony Orchestra, announced Hauschka as Artist in Residence for 2014/2015. Their first concert opened the 38th edition of the renowned Leipzig Jazz Festival, followed by the world premieres of Cascades and Drowning (with múm) - both performed at Gewandhaus Leipzig. In 2018, Volker Bertelmann was chosen to become a member of the Academy of Motion Picture Arts and Sciences. Here you can browse a selection of Hauschkas publications. As a divorced father of two teenage daughters, with his ex-wife as best friend, too many peculiar patients and a new dog, psychotherapist Max doesn’t need another challenge. But when Sophie, a compulsive gambler with a boyfriend problem, shows up late for her appointment, she rocks his world and he falls in love with her. The more Max attempts to keep it professional, the more their lives get entangled. So how can he manage to help her without getting involved? How can loving her not lead to losing her altogether? Wrestling with his conscience and his heart, torn between the patient and the woman he loves, he has no choice but to stick to the famous airplane rule: help yourself first before you can help others. 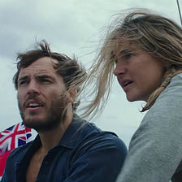 Adrift is based on the true story of Tami Oldham (Shailene Woodley) who, after being knocked unconscious by the most massive hurricane in the history of the Pacific Ocean, awakens to find her fiancé Richard Sharp (Sam Claflin) badly injured, their boat in ruins, and no means of communication or navigation. As memories of how she wound up there begin to come back, and 1,500 miles to the nearest port, Tami must race against the clock to save herself and the only man she’s ever loved. Told through the eyes of her traumatic ordeal and the flashbacks that show the beauty of how their love began, this is the incredible true story of one couple’s journey of survival. 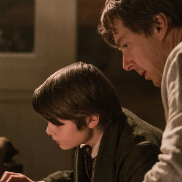 Alfonso Gomez-Rejon’s historical drama The Current War depicts the dramatic story of the cutthroat race between electricity titans Thomas Edison (Benedict Cumberbatch) and George Westinghouse (Michael Shannon) to determine whose electrical system would power the modern world. Having teamed up with Dustin O'Halloran again, Volker Bertelmann co-composed the score for the film which premiered at Toronto International Film Festival on September 9, 2017. Together with Dustin O’Halloran, Hauschka composed the Golden Globe, BAFTA Award and Oscar nominated score for Lion, starring Nicole Kidman, Rooney Mara, Dev Patel. The Weinstein Company backed feature is based on Saroo Brierley’s autobiography, A Long Way Home. Separated from his older brother at a train station, five-year-old Saroo Brierley found himself lost in the slums of Calcutta. Nearly 25 years later, living in Australia, he began a painstaking search for his birth home, using ingenuity, hazy memories, and Google Earth.